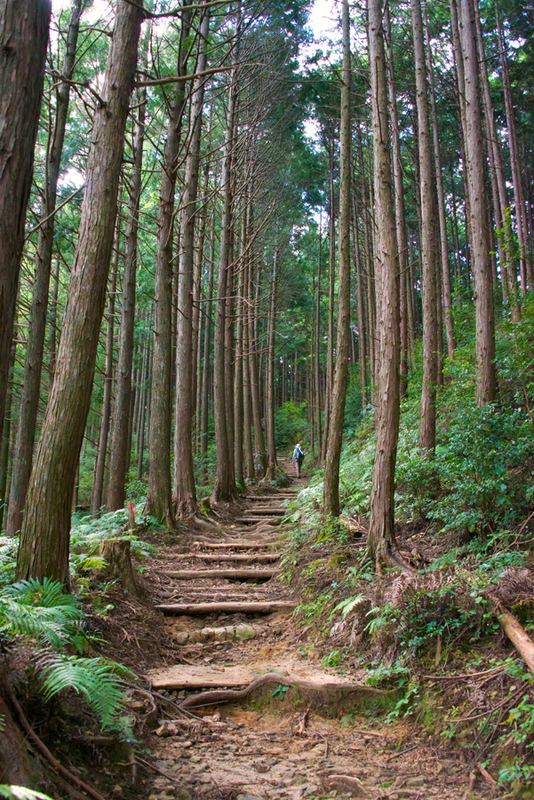 The Kumano Kodo is an ancient pilgrimage path in the Kumano mountains of the Kii Peninsula of Japan. It is one of the most sacred places in the country. 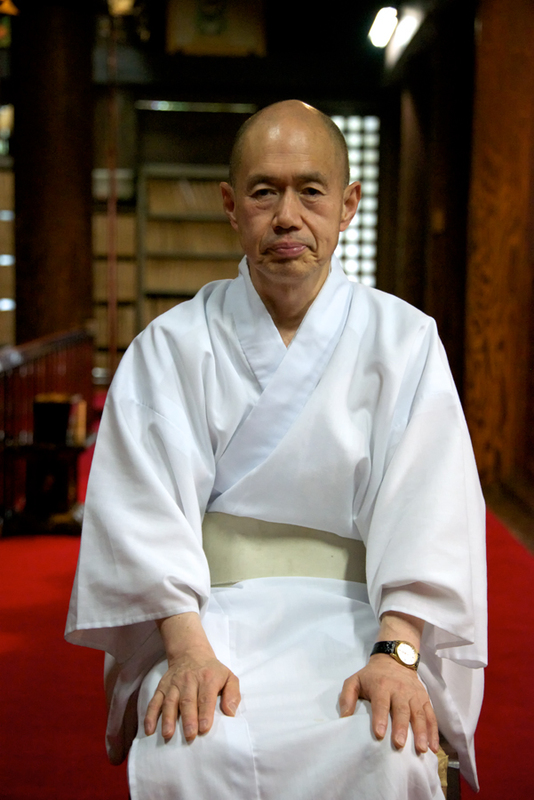 For thousands of years emperors and pilgrims alike have walked this arduous journey to worship at the 3 Grand Shrines: Hongu Taisha, Hayatama Taisha and Nachi Taisha. 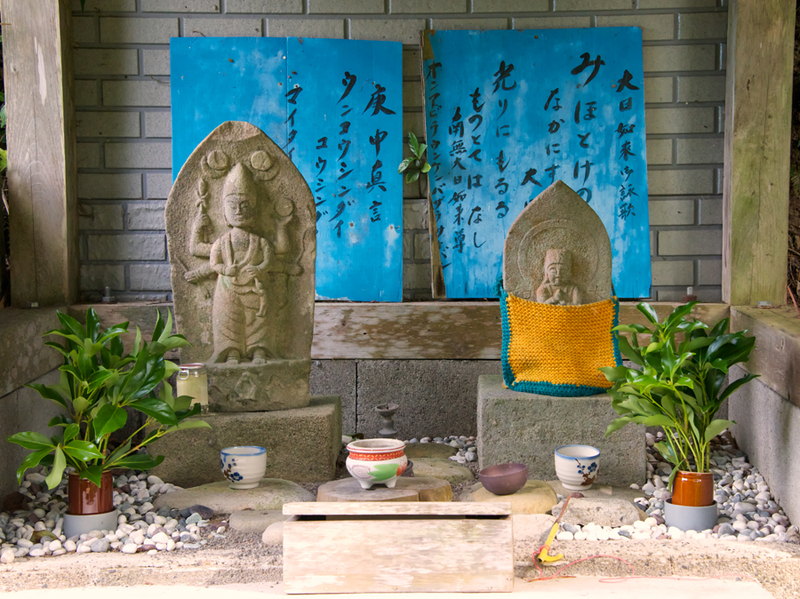 Hiking the path is like walking through a living museum: buried sutras, monoliths etched in stone and ancient Oji-shrines are found on every corner. 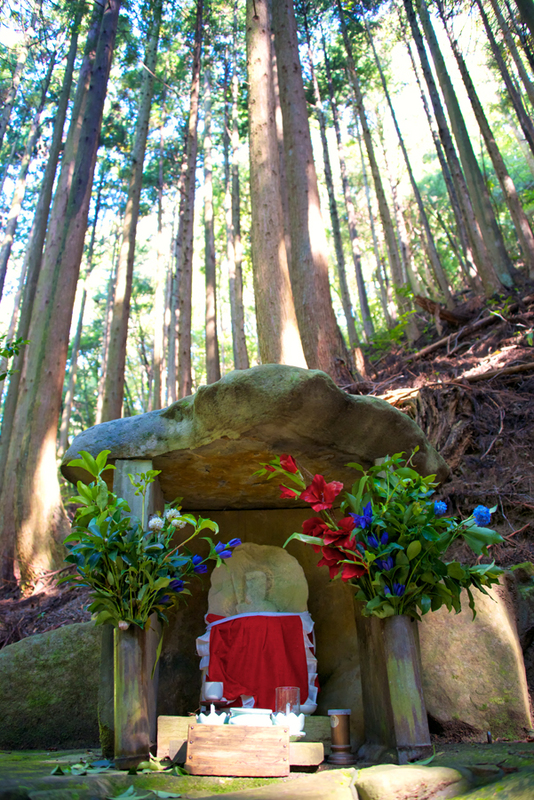 Pilgrims hiking the path leave small offerings to the Kumano Gods: cups of tea, a few coins, a blanket to keep them warm at night. 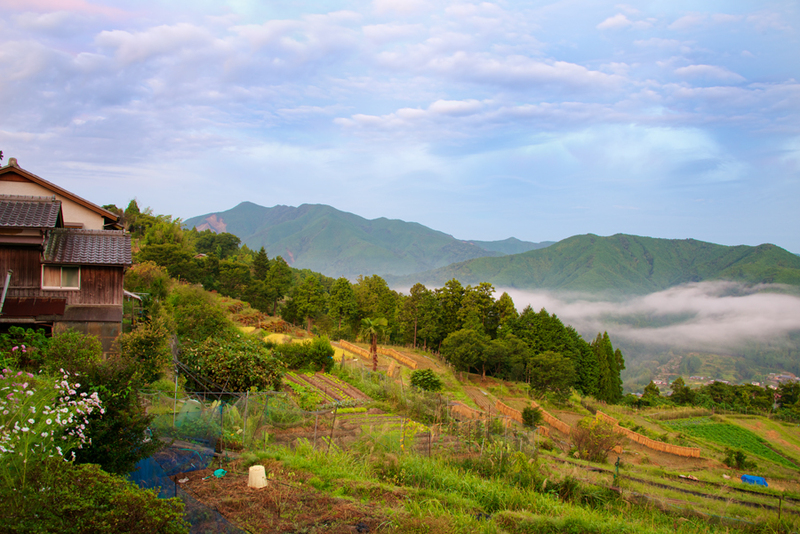 These mountains are the sacred land of the Shugendo religion. 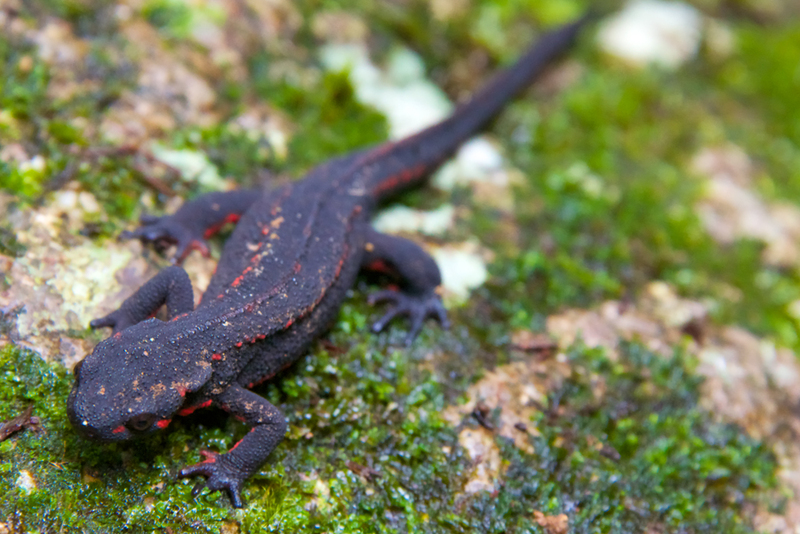 Followers believe that enlightenment can be obtained through physical immersion in the natural world. 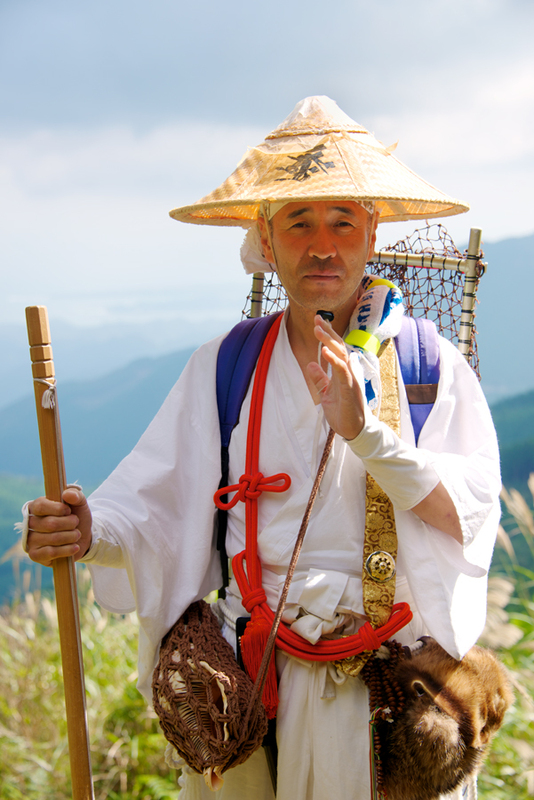 This is a Yamabushi pilgrim, a follower of Shugendo, that I met on the trail. 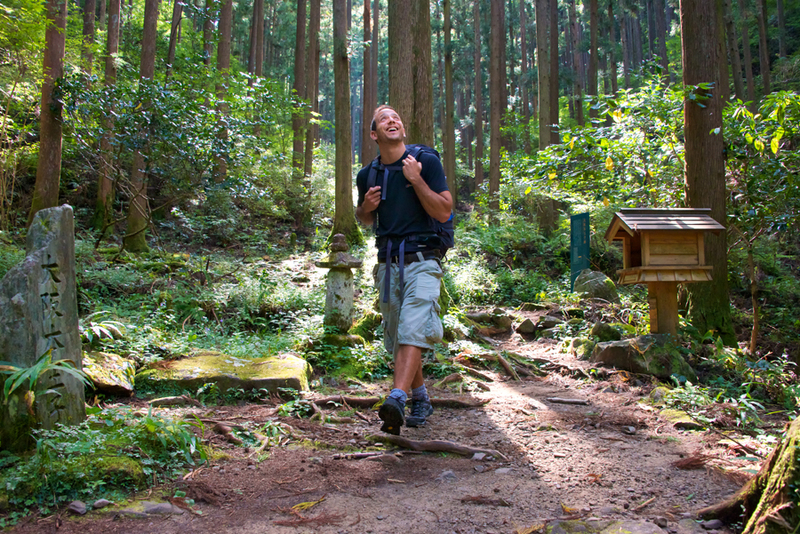 Walking the Kumano Kodo feels like stepping into an enchanted kingdom. 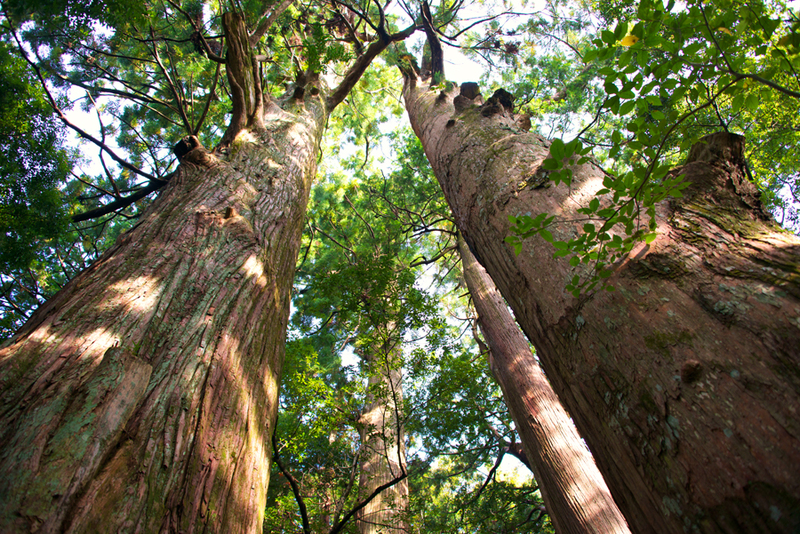 Looking up through a forest of giant Cedar trees. 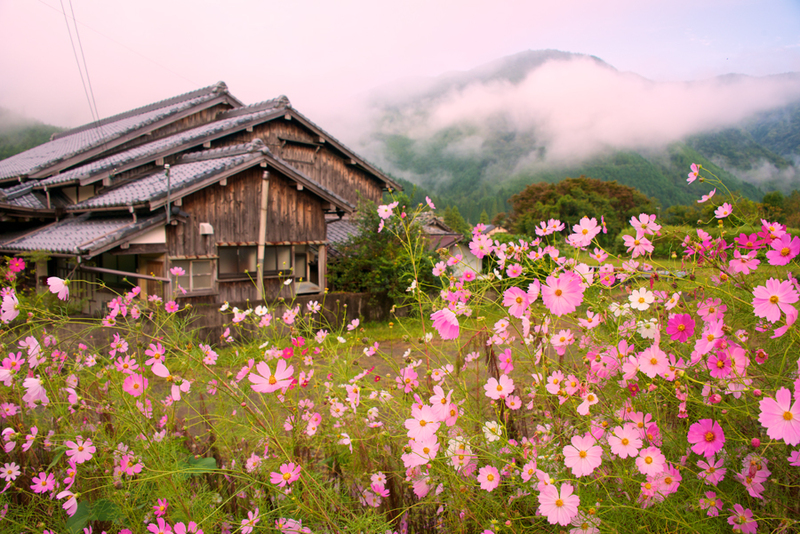 Takahara Village: one of the small mountain communities where I stayed. 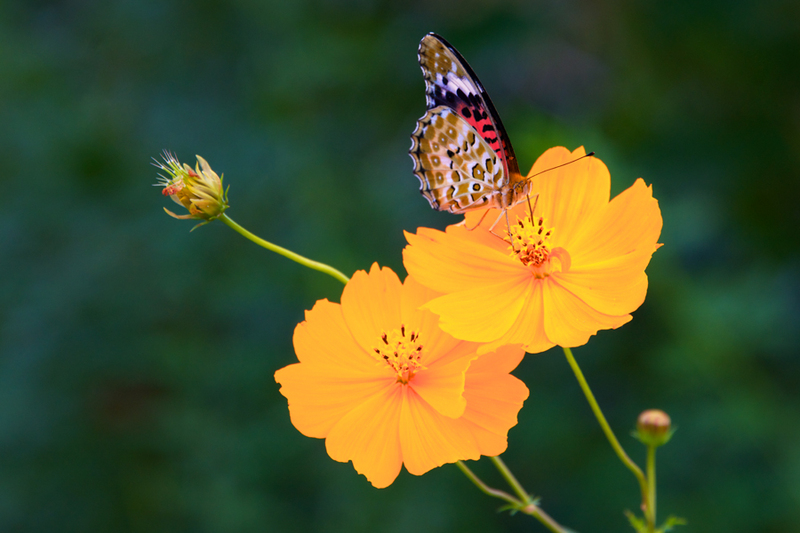 Wildflowers grow everywhere along the trail, in ancient times farmers would plant them so that if their crops failed they would still have something to eat. 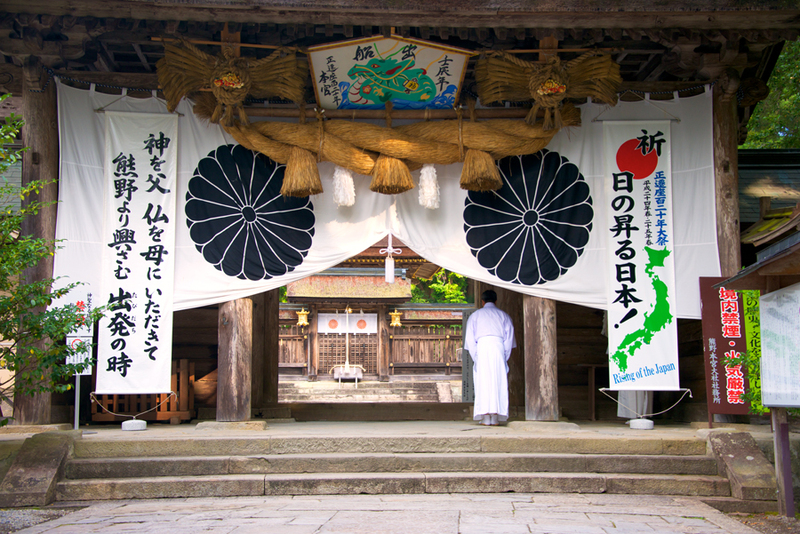 The entrance to the Grand Shrine Hongu Taisha. Inside the Grand Shrine Hongu Taisha: priests would clap bow and ring sacred bells before each of the deities housed within the shrine walls. At times the hiking was steep and hard: there is nothing more ego-levelling then climbing mountains. But at others the forest felt utterly magical and alive. 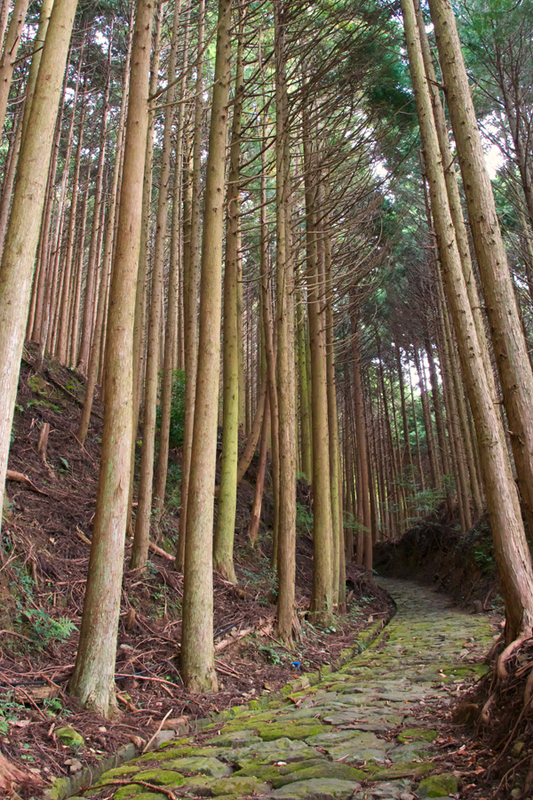 The Kumano Kodo was one of the most beautiful trails I’ve ever walked … and it’s still maintained largely by local people. 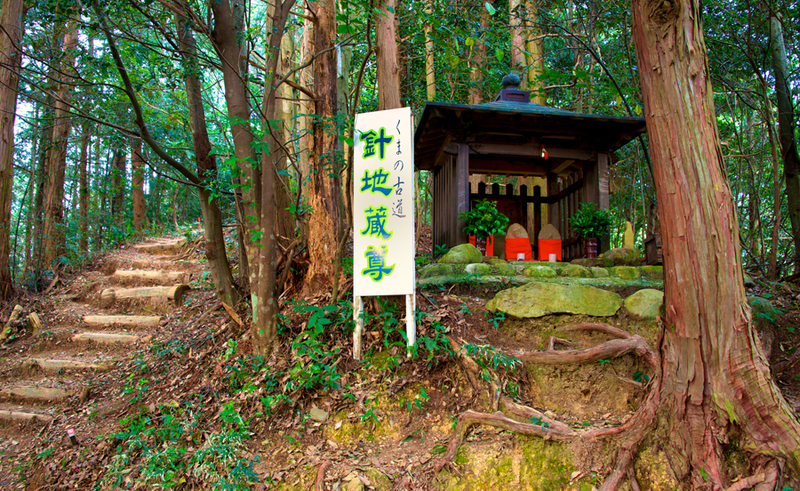 Sacred Oji-Shrine in the forest. 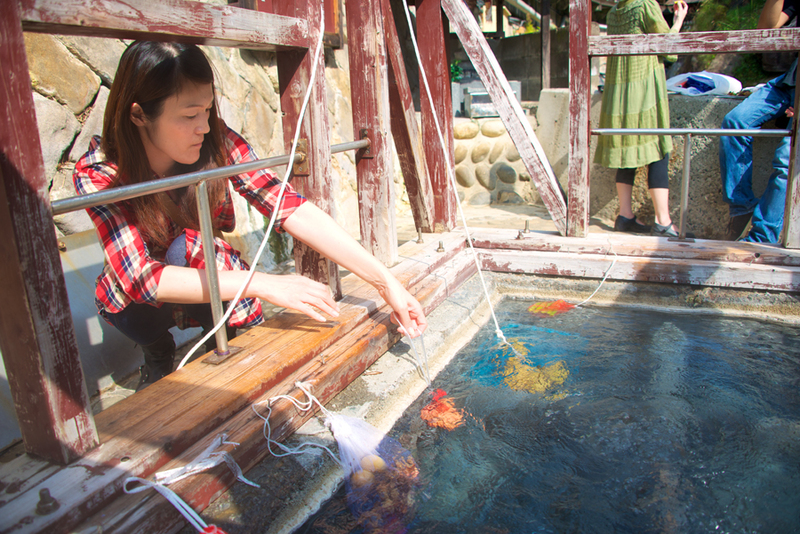 Yunomine Hot Springs has been a stopping point on the pilgrimage for more then a thousand years. 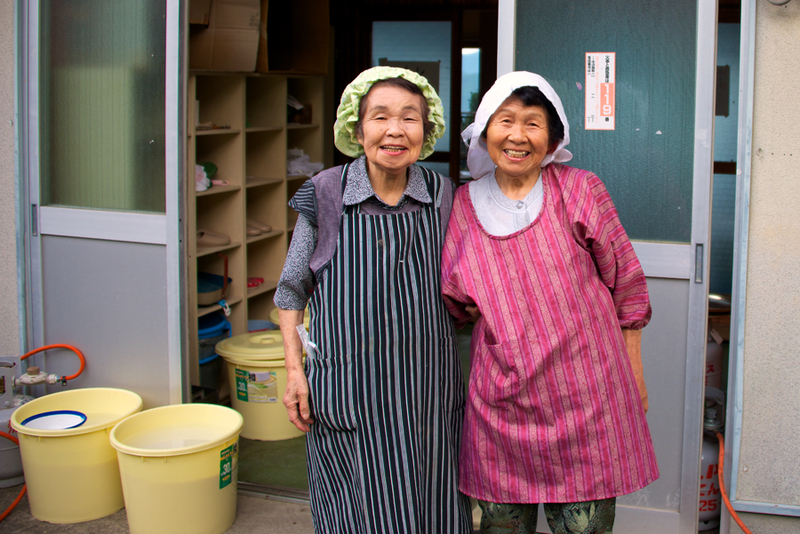 It is the only UNESCO hot spring on the planet that you can bathe in … but locals cook their dinner in the water too. I boiled some eggs and they were the nicest I’ve ever eaten. Near the end of the walk I heard a low earthy sound, like the howl of an animal but soft and gentle too. 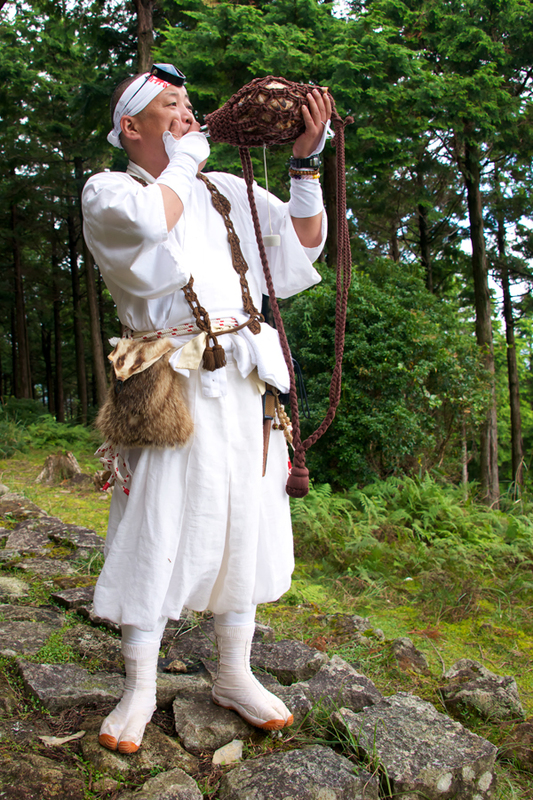 ON the summit of a high ridge I found this Shugendo Yamabushi playing his traditional Hora Conch shell to the wilds: signifying the teachings of Buddha and the summoning of nature’s deities. 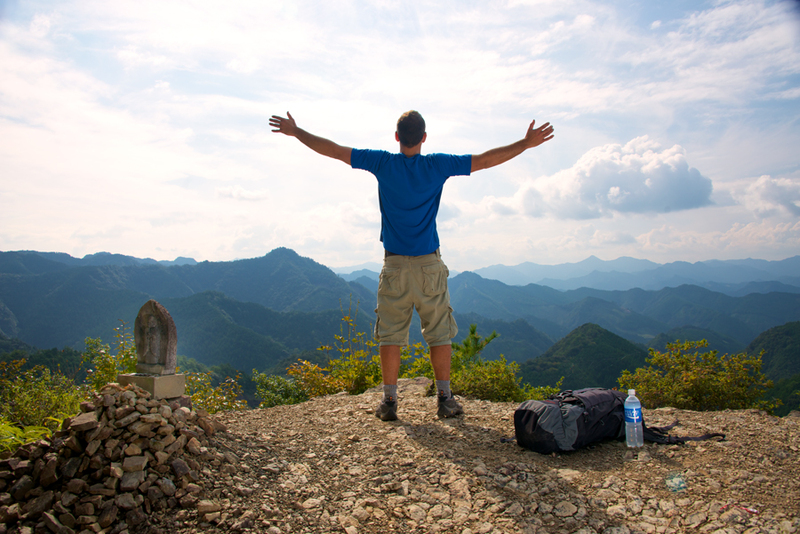 Kayakan Guru lookout: one of the most sublime panoramas of the entire trip. 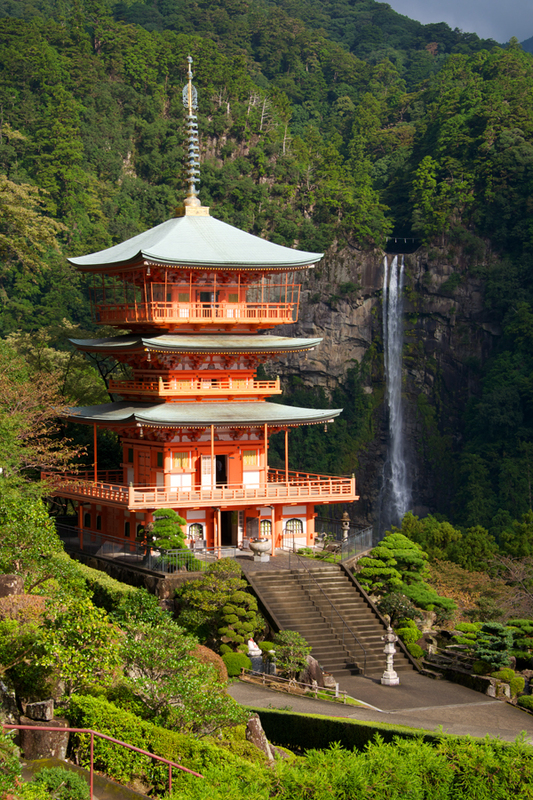 The Nachi-Otaki waterfall – revered in local beliefs as a living God – and end of the Kumano Kodo. 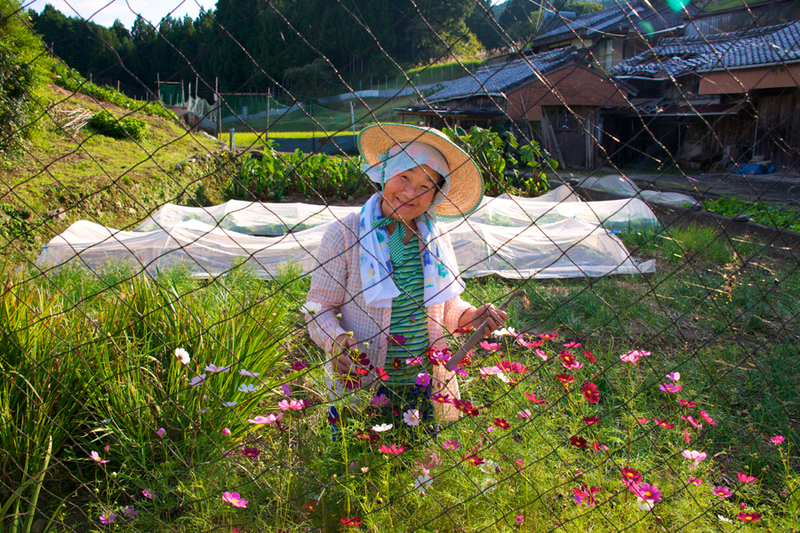 I did this trip with Oku Japan – a leader in sustainable tourism in the region. They’re all excellent people and helped me to book small authentic mountain B&B’s where english wasn’t spoken. If you want to get off the beaten track, without the hassle, this is a great way to do it – and you can be confident that they’re helping to provide good income and a sustainable level of promotion for some fantastic family run guesthouses along the trail. It’s also possible to do the trip independently. 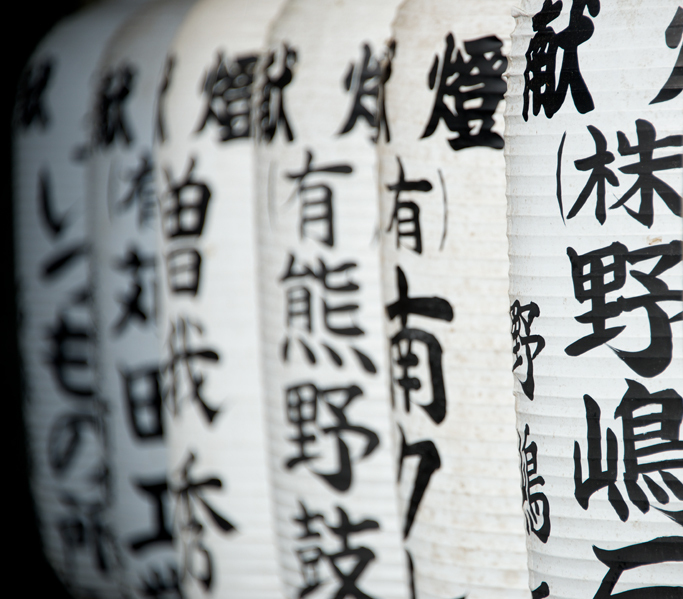 Contact Wakayama Tourist Board: they have english speaking representatives who can help provide information. I hear nothing but good things about them and they helped set up my interview with Ryoei Takagi so am eternally grateful. 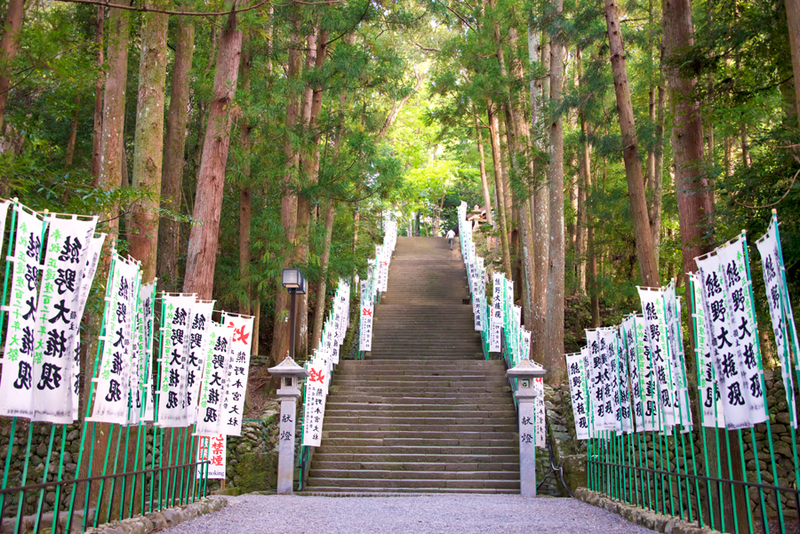 The Tanabe City Kumano Tourism Bureau is also a great resource for information on walking the Kumano Kodo, and they have a great reputation for responsible tourism in the region.